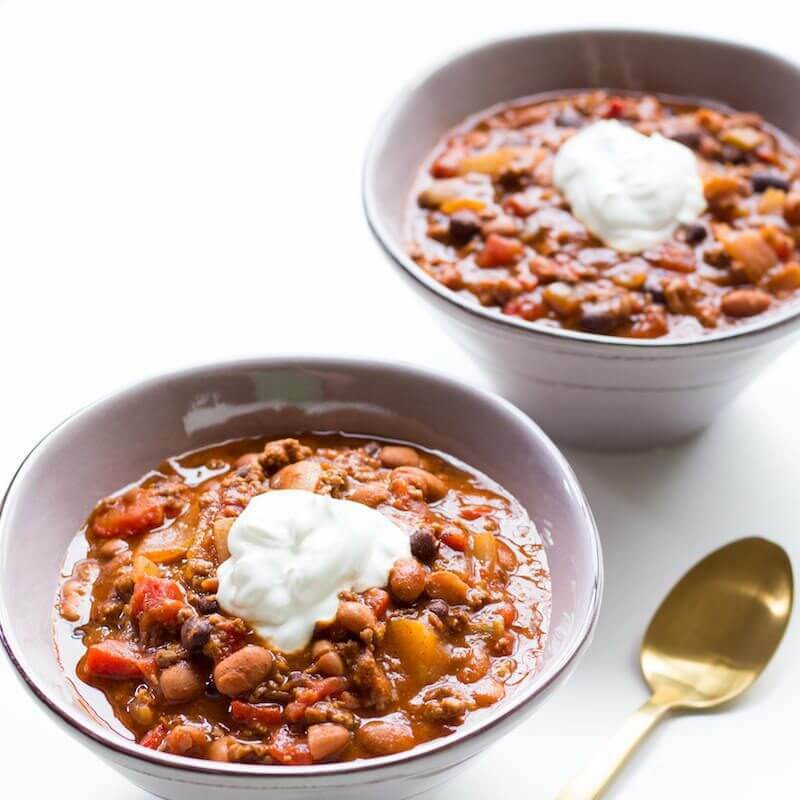 Beef and Butternut Squash Chili is packed with big flavor in just one-pot thanks to sweet butternut squash, smoky roasted red peppers, and spicy chili beans. 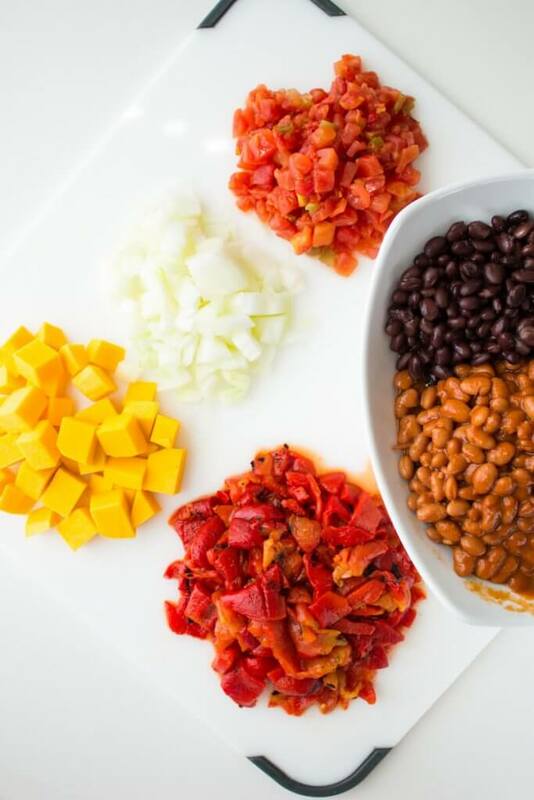 The beauty of Beef and Butternut Squash Chili is that it IS possible to make a flavor-packed chili in less than 45 minutes. Of course, you can simmer longer to allow the flavors more time to marry. However, if you’re like my crew, sometimes it is just too hard to wait! 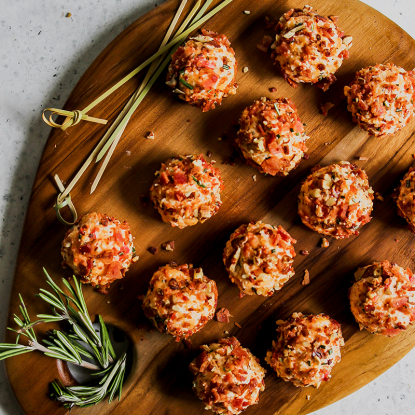 Purchase precut butternut squash cubes or frozen butternut squash cube. 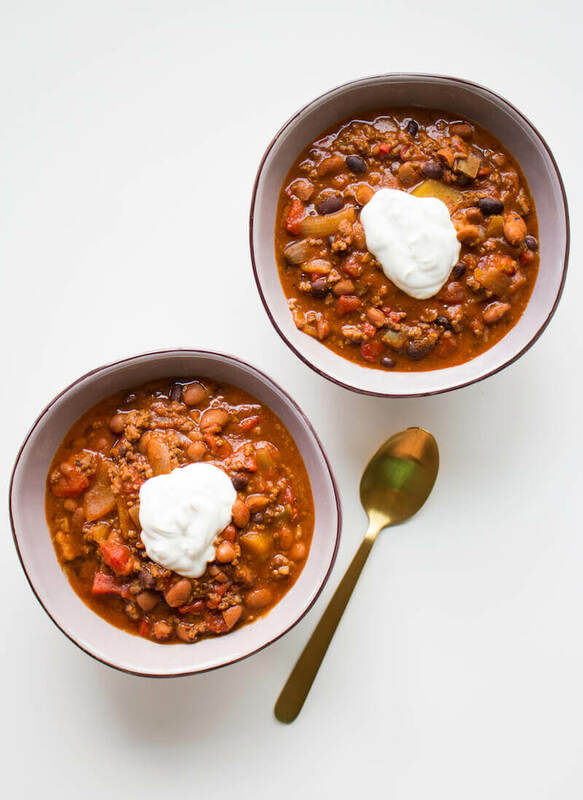 Make a double batch and freeze leftovers in 1-2 cup servings so it is easy to grab and reheat a serving or two of chili on a busy weeknight. 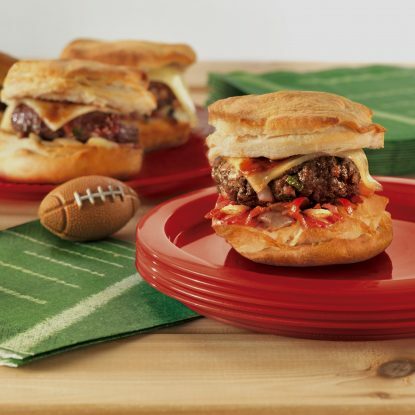 Sub ground turkey, ground chicken, meatless soy crumbles or ground pork for beef, if desired. 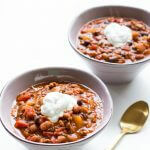 If you like a thinner chili, add a bottle of beer to the mix for a boost of flavor. Don’t worry, the alcohol will cook out as the soup simmers. 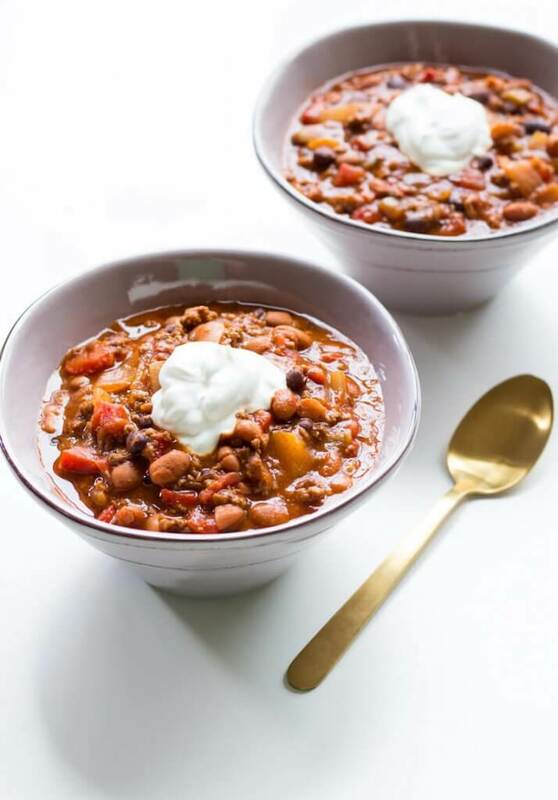 Love this chili? Let me know if you try it by rating and leaving a comment. Want to remember it forever? Pin the image below!! Place squash in a large microwave-safe bowl. Add water to a depth of 1/2 inch. Cover with plastic wrap; vent. Microwave at HIGH 2-3 minutes or until tender. Drain and set aside. Add onion and red pepper; cook 3 minute or until onions are tender. Add beef, garlic powder, and chili powder; cook 5 minutes or until browned; stirring to crumble. Add butternut squash, tomato sauce, and remaining ingredients; bring to a simmer. Sweet butternut squash, smoky roasted red peppers, and spicy chili beans add big flavor to this simple, one-pot Beef and Butternut Squash Chili recipe.